There are few things worse than hearing the annoying buzzing sound swarming around your head knowing that if you do not stop it, it will bite you. Mosquitoes. The bane of many peoples existence. For those heading to or coming from an area that in infested with mosquitoes, here are a few ways to tackle mosquito bite prevention. Mosquitoes are naturally attracted to lactic acid and carbon dioxide. More carbon dioxide is emitted when people exercise or are hot and more lactic acid is released by eating high potassium foods or salty foods. So when you can, avoid exercising when it's warm and avoid certain foods. Cover any exposed skin that mosquitoes may have easy access too. Make sure the clothing is loose but that any area that the insects may sneak up into are tucked in. In some of the more high end outdoor shops you may come across clothes that already have a layer of permethrin in them. Another tip is to wear light clothing as it will keep you cooler and it will make it harder for the mosquitoes to locate you. Most repellents contain 30-40% DEET. It is important to note though that it is not the smell of DEET that they dislike, rather the DEET is used to cover the lactic acid and carbon dioxide smell. When applying the repellent, avoid spraying it directly on the face. Once finished with the application, wash your hands making sure you don't rub and irritate your eyes. Also, put the mosquito repellent over the clothes rather than on the skin under the clothes. Citronella Oil, Lemon Eucalyptus Oil, Rosemary Oil, Lemongrass Oil, and Geranium Oil are just a few of the natural repellents available. They also need to be reapplied more often than DEET repellents, but they can be more affective. They lay their eggs in stagnant water so avoid places such as swamps, marshes, and bogs. Mosquito bite prevention can also be done in and around your home. Make sure to regularly cleaning out the birdbaths, kiddie pools that hold water, and old tires. Any place where stagnant water exists should be cleaned regularly. Because mosquitoes are blood sucking insects, they may be carrying livestock diseases such as malaria and West Nile Virus and many others. 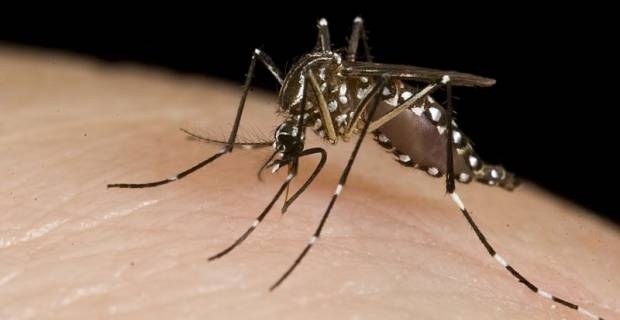 Before heading out travelling, make sure to check in with the Center for Diesease Control and Prevention Travelers' Health page and see if they have any other tips on mosquito bite prevention. Good luck in the never ending fight against mosquitoes.